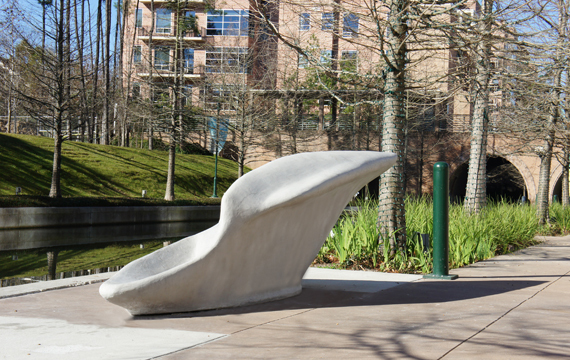 VGS won the Woodlands Art Council competition to design and build an "Art bench" in 2014. Elegance and technology were the premises for the design. The resulting bench is an 'average' of all our favorite chairs, by generating an associative model that averages what we curated as "optimum curvatures" in all their three dimensions, this artifact, although made of lightweight concrete is extremely comfortable.The bench was built with a team of UH students at University of Houston's Keeland Center... Thanks to you all!